One night in 2007, I was chatting with my best friend, Britt. We’d bonded over S.E. Hinton’s The Outsiders through our YouTube channels, and found we shared a love of television shows, too. Between discussions of Ponyboy and Johnny, Joey and Chandler, and J.D. 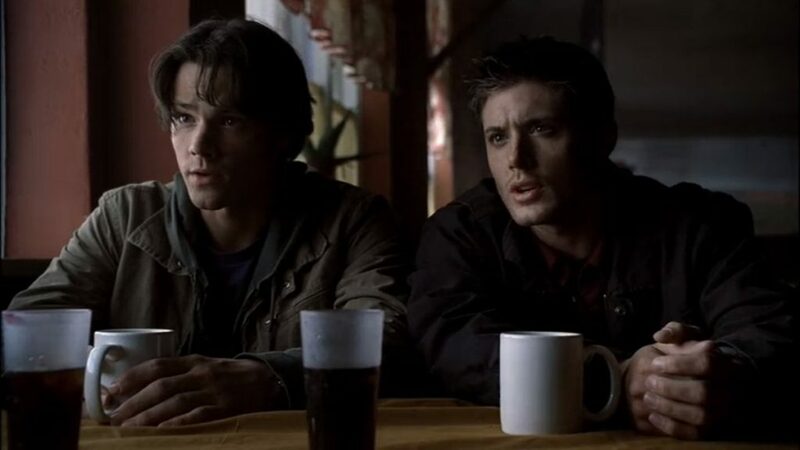 and Turk, a new duo was brought to my attention: Sam and Dean. Britt was a big fan of a show I knew nothing about: Supernatural. But it was a horror show, and I was no fan of horror. Really, I barely watched anything that was not a comedy. It couldn’t be for me. A few years later, my good friend/other TV soulmate, Julie, started Supernatural. I was an avid follower of her Scrubs fan videos on YouTube. And when she uploaded a video featuring Sam and Dean in 2013, I thought, “Hey, there’s that show again.” Still, I made no effort to check out even a single episode. Although I didn’t watch Supernatural, it stayed on my radar. Over time, I learned what a huge presence its fandom had online and that its cast appeared to be full of very cool, good people. 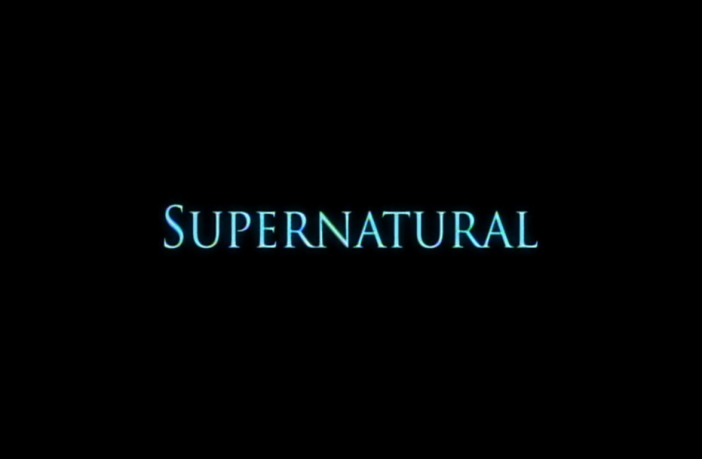 I respected Supernatural, but I had no desire to give it a shot. Between November 2015 and May 2016, my life shattered. In November, my crutch, my obsession, The Hunger Games, released its final movie in the franchise. Fans were quickly moving on, and I felt like I was being left in the dust with a huge hole in my gut. In December, I’d finally gotten a job related to what I went to college for, but I knew it still would not be enough to support me financially. Worst of all, January hit, and I lost the one I loved more than anything. Then came the end of May–Memorial Day weekend, to be exact. Summer was ahead, and I knew I had a lot of time to put in. I’d tried to lose myself in as many TV shows as possible via Netflix over the last several months. Really, I’d exhausted just about everything I’d wanted to check out. And then this little reminder sparked in my head. Is Supernatural on here? It is. How many– 10 seasons?! It would be a huge investment, but I was ready to explore this world that I’d ignored for so long. It was time. Going in, I actually knew very little about the plot. Sam and Dean were brothers. They hunted monsters. Misha Collins played a character, but I didn’t know his name nor his… species. That was it. And man, do I love diving into fictional worlds blind. The first three seasons were a little rocky. I liked the show enough that I didn’t want to stop, but I wasn’t exactly invested. I craved more of a continuous plot. Many episodes felt one-and-done. I was missing a deep, raw connection. And where the hell was Misha?! Then came “Lazarus Rising.” Dean was rescued from Hell by an angel?! An angel?! Whoa! I had no idea what to expect when I reached the beginning of season four, but it was not the introduction of angels and Heaven. What a plot twist. I needed to know more. 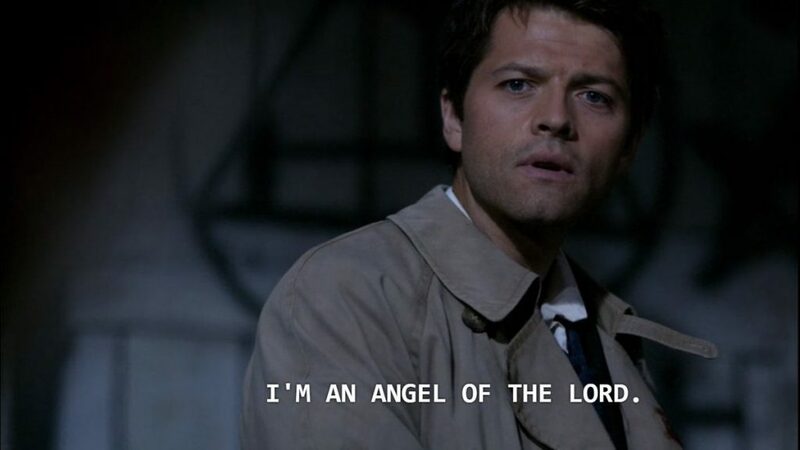 Who was this mysterious Castiel? Seasons four and five had me flying through the episodes. I was rewarded with the type of plots I’d been seeking. Not only was I completely invested in Castiel, but Sam and Dean felt so much closer to me, too. The high dissipated after reaching season six. There was a definite low all the way until season nine. But suddenly, Sam was possessed, Cass was human, and soon, Dean took on the Mark of Cain. Again, I wanted to gobble up every second. Season ten kept me moving, too, with the Mark storyline actually carrying over from nine. Watching Dean’s decline in humanity and having Sam and Cass team up–I was pleased. In five weeks, I had finished all ten seasons. There was an eleventh out, too, dang it, but it was not yet on Netflix. I’d have to wait to catch up, but I was already emotionally prepared to begin watching season twelve live on television when it premiered in the fall. But what was I to do until then? I couldn’t get Team Free Will out of my head. They’d enthralled me for so many hours, and I felt a loss not having them to watch. So, I ventured to YouTube. Two words: gag reels. My gosh, Jared, Jensen, and Misha were even funnier than I’d hoped they’d be. Too soon, the behind-the-scenes flubs ran out. Thankfully, YouTube picked up on my new interest and started recommending convention panel videos to me. These guys did conventions? No, these guys did a lot of conventions. I spent every night for two months watching hours of clips and, eventually, investing in full-length panels. With each panel, I was laughing until I was sore–and often crying until I felt something again. I didn’t know how I’d formed such a connection with people I’d never met, who had no idea who I was, but it was there. 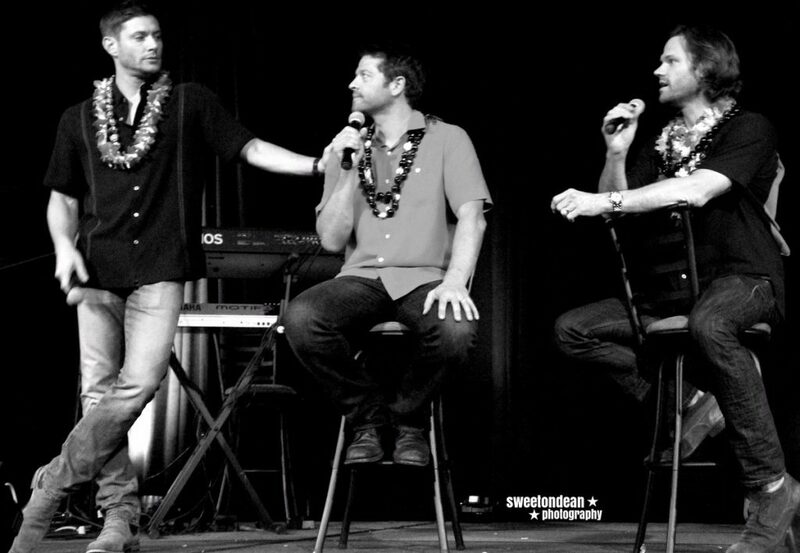 Somehow, Jared, Jensen, and Misha convinced me that I wasn’t alone, was cared about, and was even understood. Supernatural continued to consume me. I thought of it constantly. I re-watched episodes daily (and continue to do so) and fell in love with the seasons that originally didn’t get under my skin. But all of that still was not enough. Being a veteran of online fangirling, I wanted to do something about this new obsession of mine. But I was scared. Poking my head in the Supernatural fandom proved threatening. On Twitter, I saw some good, but, man, I also caught some bad. I’d seen nasty comments about the actors, the crew members, and fellow fans. I worried that maybe I’d misjudged the fans of the show, but also wondered how that could be when the source of their joy was three men who were phenomenal. Like descending into a chilly swimming pool, I slowly sank into the fandom: following a few “big” accounts, interacting with the fans in the replies of popular tweets. I even made a second Twitter account to post out-of-context screen-caps from Supernatural in hopes of making some lasting connections. But I didn’t truly befriend more than a few people. It’d been over a year since I first “finished” the show, and I was painstakingly lonely. Late one night, I sent out a tweet on a whim, hoping to find fans who weren’t into nasty, unnecessary politics. So many kind, welcoming people reached out to me, and it was through that very tweet that I finally felt like I had been inducted into this family. If you're a #Supernatural fan who respects and appreciates Jared, Jensen, AND Misha, please holler at me. Would like to get to know more people with the same viewpoints of the show that I have. In the year since, I have formed bonds with people that are stronger than just about any I’ve made in “real life.” These friends care about me. Truly care–and have proved it time and time again. It is a foreign, welcomed experience. Interacting with them–about new episodes, characters, plots, art, gifs, support, our days–continues to be a great privilege. As does seeing all the good our family does in the world. Sometimes, I sit back in awe and think. How many everlasting friendships have been formed because of a TV show? How much money has been donated to charity? How many people’s mental health has improved, being in an environment that doesn’t dismiss or judge their battles? How many lives have been saved because of a few kind words? With the end of the show on the horizon, I am terrified. 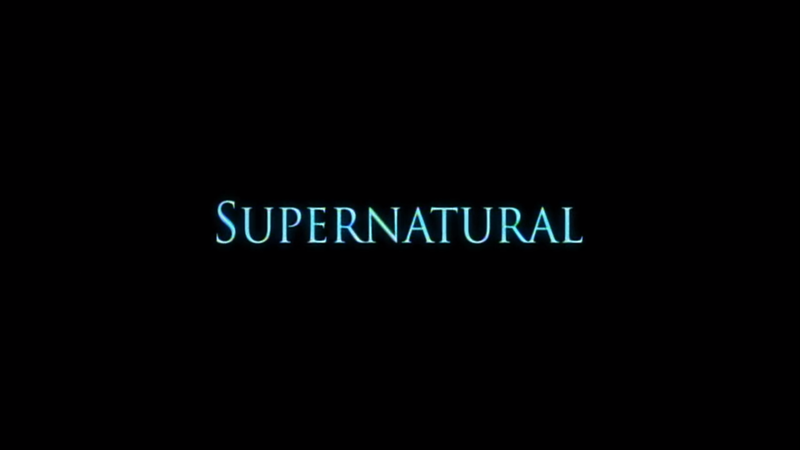 I admit, I am very dependent on Supernatural, its cast, and its fandom. I don’t want to be left behind while everyone else moves on. What I’ve found in our family is lightning in a bottle. And while I’m a relentless mess everywhere else, in this fandom, I belong–just as I am. Soon, some things will be different; that cannot be avoided. But I don’t want to say goodbye.